Inbound marketing is a methodology of attracting internet users to your website by producing quality content that gets their attention. Blogs, social media channels, keywords, and SEO strategies are tools you can use to draw new patients to your site. Optimize your content so that it not only is the easiest to find, but provides the most comprehensive answers. The content you produce should be engaging, informative, and valuable to your visitors. When you produce quality content that effectively answers visitors' questions, you will earn their trust and respect for you as a thought-leader in your industry. How can you use Inbound Marketing to attract new patients? Patients seeking answers to their problems online often choose services from a company they trust can best solve their dilemmas. By implementing a solid Inbound Marketing strategy you can transition casual visitors of your site into patients for your medical practice. Take visitors on a journey, which first attracts them to your site with blog posts, social media publishing, and keyword targetting. Convert visitors into leads by allowing them to connect with you through call-to-actions, forms, and landing pages. Nurture the relationship with emails, customer relationship management techniques, social media posts, and workflows until they're ready to request your services. When done right, new patients will become promoters of your practice and help drive more traffic to your website. 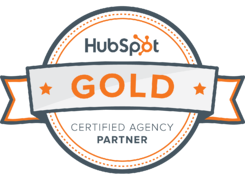 At InboundMed, we specialize in teaching medical practices, organizations, and groups how to strategize an Inbound Marketing campaign. Connect with us today and we can help you grow your patient database.